The Russian Don is an equine breed origination in the steppes region of the southern part of Russia, attaining its name from the Don river that flowed through this area. 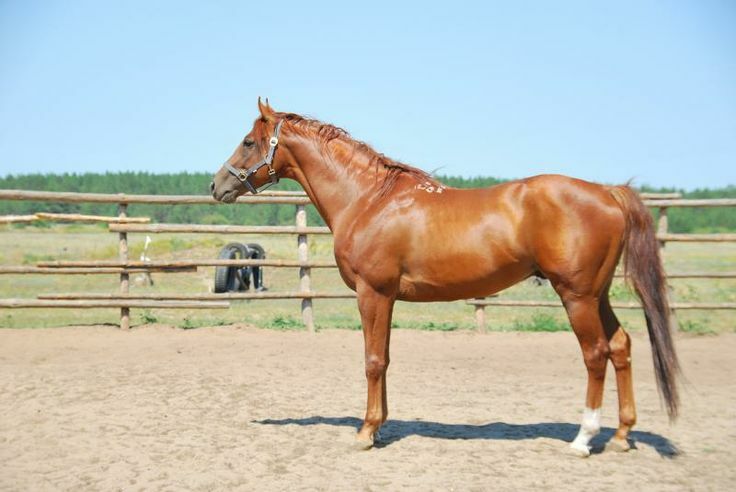 Initially utilized as saddle horses, this versatile breed is at present used for a variety of purposes including saddle work, general riding, and driving. The Russian Don horse, known by the name of Old Don, originated in the Southern part of Russia about 200 years ago. 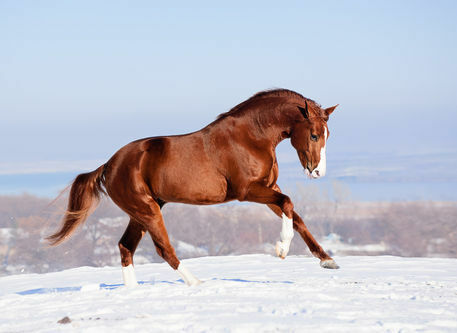 The breeds responsible for its creation include the semi-feral horses of the Russian steppes, along with some Oriental equine breeds like the Arabian, Turkmenian, and Karabakh horses. 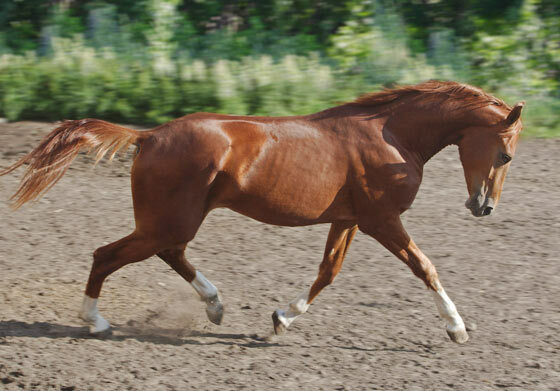 The Old Don was a medium-statured, agile breed being high on endurance. The Cossack cavalry that played a pivotal role in destroying Napoleon’s campaign in Russia had used these horses as mounts, which were also to a greater extent credited for the triumph and supremacy of this race (the Cossacks). After this victory, their fame gradually began to heighten. 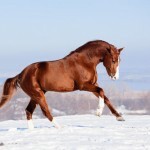 These hardy Old Don horses later led to the foundation of the present Russian Don, also contributing towards the improvement of certain other breeds such as the Orlov, Thoroughbreds, and the Orlov-Rostopchin. At the beginning of the 19th century, attempts were made to develop a hardy breed requiring minimum care and less feeding. 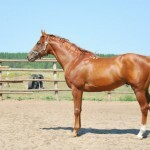 To improve these horses certain breeds like the Orlov, Karabakh and Thoroughbreds were included in the selective breeding program. The result was a refined breed possessing the durability and pleasant appearance of the old Don and imported stocks respectively. 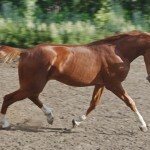 Their demand increased rapidly by the latter part of the 19th century as cavalry horses, with private breeders mostly focusing on the height, endurance, conformation and primary color (chestnut with a golden sheen). However, the breed suffered a tremendous setback after World War I and the Civil War as a majority of their population had been wiped out, with only about hundred of them remaining. The remaining horses were taken to the stud farms established in the Rostov area, with attempts being made to restore their numbers. They continued serving the Russian army until 1954 after which the cavalry was disbanded. 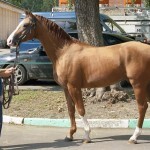 The All-Russian Institute of Horse Breeding publishes the studbook for this breed on a regular basis. It even brings out a catalog evaluating and ranking the stallions eligible for breeding. As there came stabilization in the political life of Russia, the breeding of these horses resumed. They have also been accepted outside, with an association for this breed being created in France. Though they do not have increased speed, their endurance and jumping abilities makes them perfect for mounted tourism. In the book “Count Pompeii- Stallion of the Steppes”, the remarkable feat achieved of Basha O’ Reilly, the famous traveler of covering a distance of 4,000 km ranging from the Volga Steppes to England on Count Pompeii (a Don stallion) has been stated. 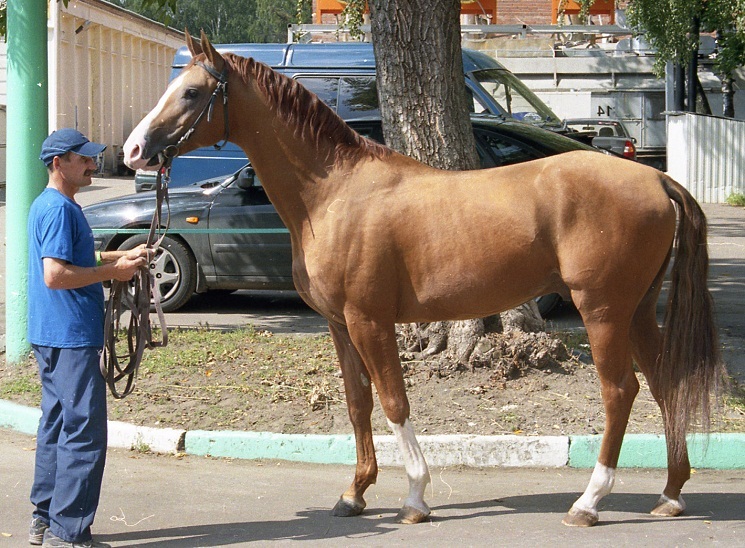 A Russian Don horse named Mig born in 1971 has a record of covering 2400m in a span of 2 minutes 43 seconds in flat races.